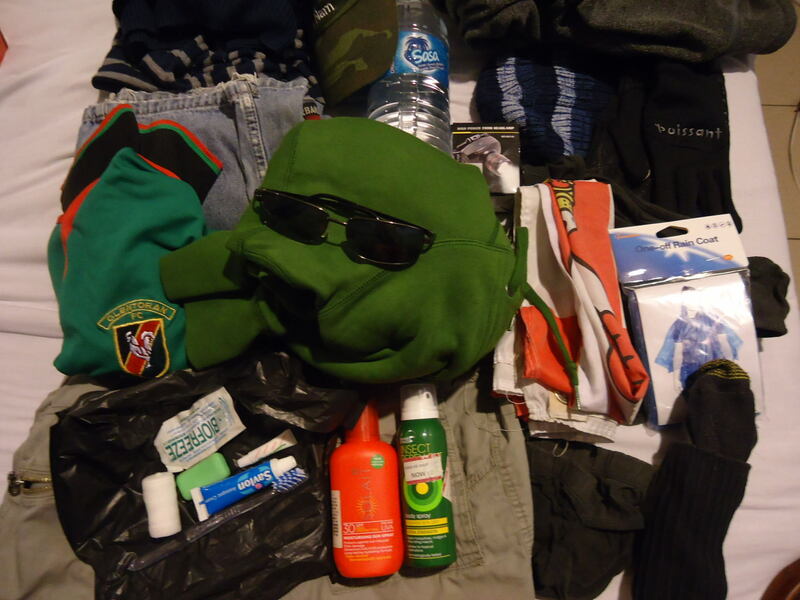 Part 1 of the Mount Kinabalu Hike – all packed and ready to go! Every hike starts the same way for me, and I’m sure for other travellers too. You get packed, you get little or no sleep, you wake up at 5am, grab a quick coffee and a bite and head off to the place where the hike begins. 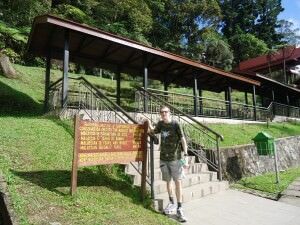 This is the first in my series of posts which will of course appear in chronological order on the epic journey of hiking up Mount Kinabalu in Malaysia, on the island of Borneo. 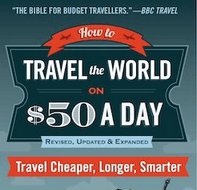 I have already written about how to book the hike and how much it costs. 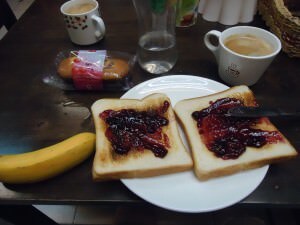 Typical pre hike breakfast – our morning 5am food in Masada Backpackers in Kota Kinabalu, Malaysia, Borneo. So we were staying in Kota Kinabalu in the Masada backpackers and awoke at 5 am. Breakfast was tea and toast and we grabbed a few bananas for our hike. We already had our water and some other snacks for the day. I packed light, and in the end even had a coat that I never used on the hike. We left Masada backpackers around 6.30 am and headed to the meeting point for “shared cars” to Kinabalu National Park. 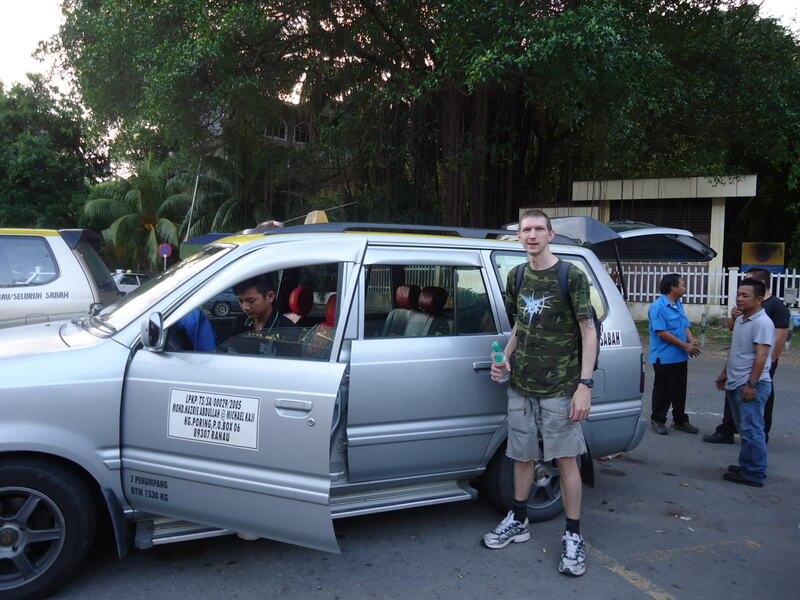 6.30 am at the shared car we got in Kota Kinabalu which took us to Kinabalu National Park. We had to wait a while for our car to fill up, it needs to be full for it to be worth the while. Once in the car and once it filled up, we left behind the city of Kota Kinabalu and headed inland towards Kinabalu National Park. The shared car costs exactly 20 Malaysian Ringitts and that’s the set rate that you should pay. Incidentally the other passengers in our car were all locals, and none of them were doing the hike or getting off at Kinabalu National Park. This is common when you take the cheap backpacking options like us, so please don’t worry that the others in your car are not doing the hike! In the shared car early morning heading to Kinabalu National Park. The drive was all you expected it to be. Curvy roads, slight upward inclines and sunrise over the city of Kota Kinabalu. 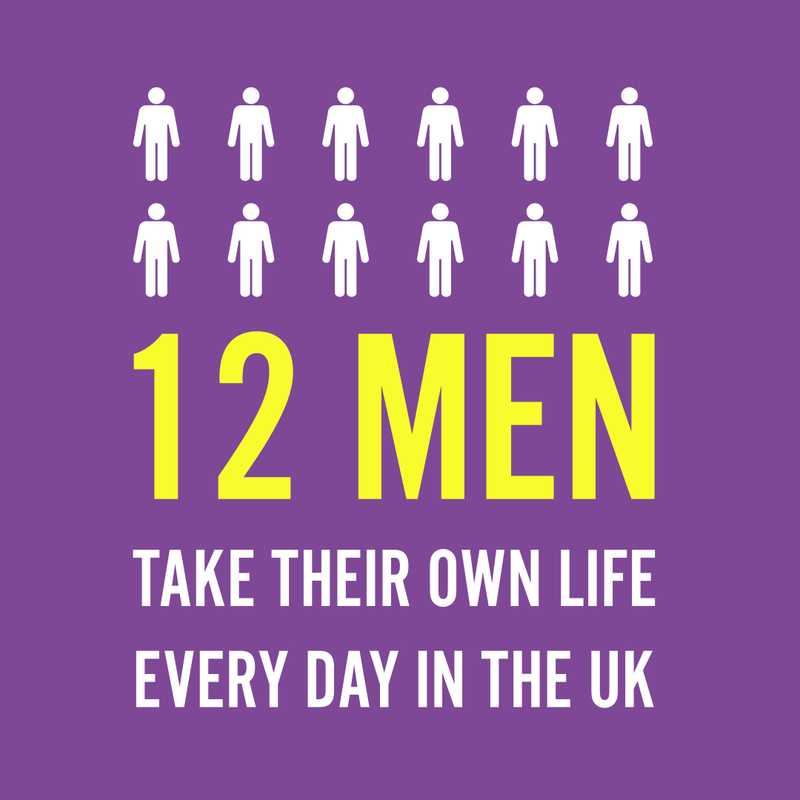 I can assure you it’s all part of the journey. My only worry at the time was leg room in the tight car. A long hard hike lay ahead and my legs were hemmed in. But hey, we were on another journey here. From the shared car we got our first glimpse of Mount Kinabalu. It was an amazing drive, all done in about 2 hours. 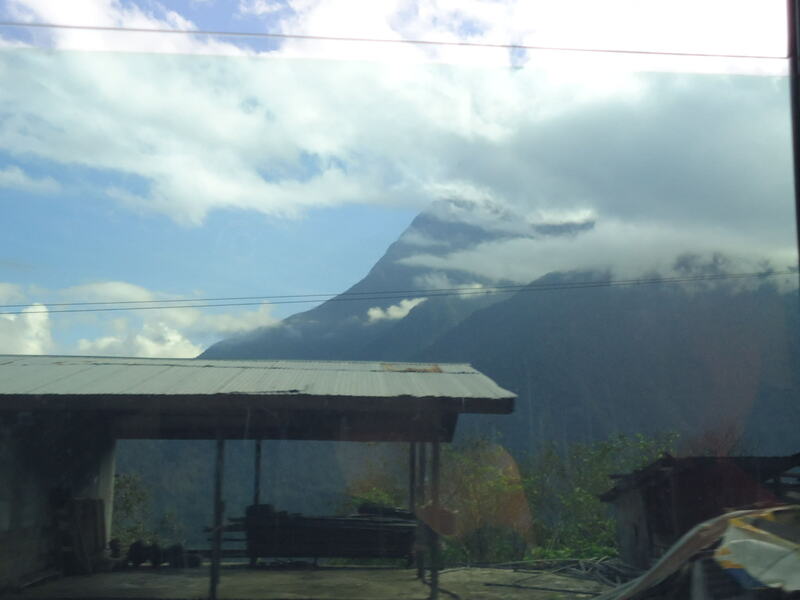 Our shared car had left just before 7am and arrived at Kinabalu National Park around 9am. Some hikers start the hike earlier than that and indeed some stay the previous night in or around Kinabalu National Park. 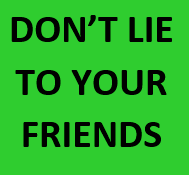 I’d recommend NOT doing that – it will cost you more and it’s kind of a con to get hikers to spend 2 nights and 3 days in and around the area. You don’t need that. It’s a 2 day hike which includes a night in the mountain village of Laban Rata. The hike is dear enough as it stands without incurring more costs. Arrival at Kinabalu National Park, Malaysia, Borneo. 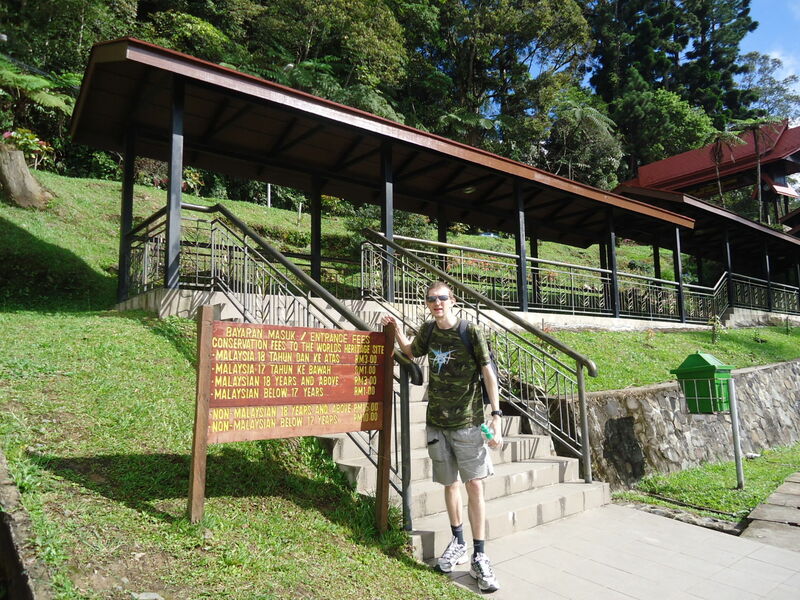 Without further ado we had arrived at Kinabalu National Park and were ready for the hike. 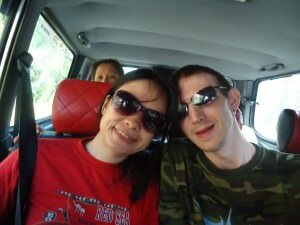 This entry was posted in Asia, Borneo, Hiking, Kota Kinabalu, Malaysia, Mount Kinabalu, Sabah. Bookmark the permalink.